“Mission: Impossible — Fallout" is definitely everything we expected, and more. Rating: 3.5 stars out of 4. 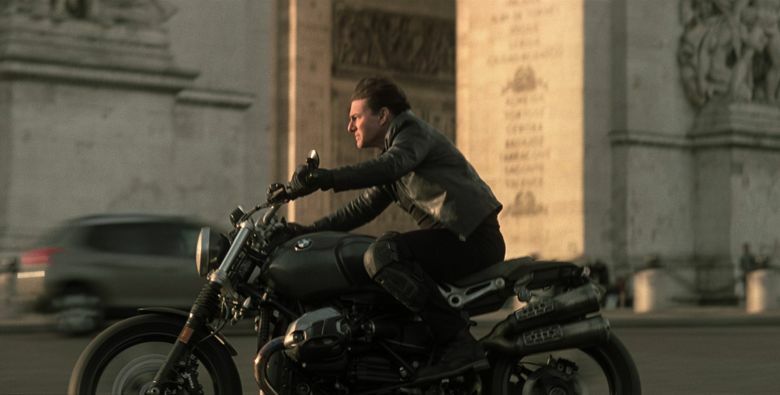 Director Christopher McQuarrie, who made lively fun from the previous “Mission: Impossible — Rogue Nation,” returns for “Fallout,” and he makes two-and-a-half hours zip by like Cruise on a motorcycle. 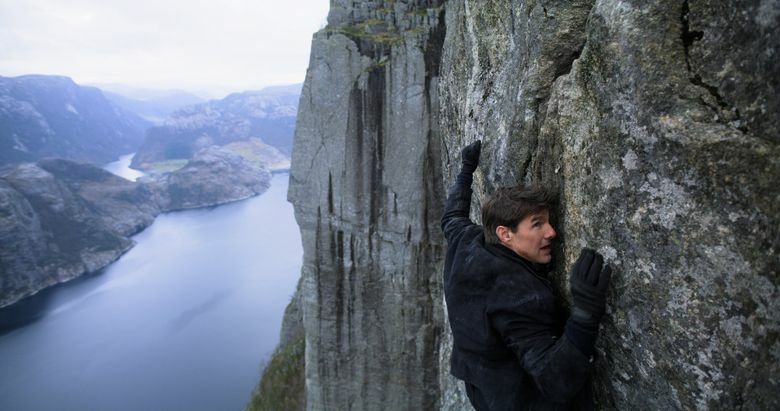 The plot, which doesn’t matter in the slightest, involves the usual “M: I” drill: Ethan Hunt (Cruise) and his Impossible Missions Force team face crisis after a mission gone wrong. The usual faces — agents Luther Stickell (Ving Rhames) and Benji Dunn (Simon Pegg) — are joined by recent additions such as slinky spy Ilsa Faust (Rebecca Ferguson) and smooth-voiced former CIA director Alan Hunley (Alec Baldwin), and brand-new faces including Bassett’s CIA director Erika Sloane, malevolent-looking CIA agent August Walker (Henry Cavill) and an elegant arms dealer known as the White Widow (Vanessa Kirby, of “The Crown”). There’s also a familiar villain, Solomon Lane (Sean Harris) from “Rogue Nation,” and a haunting face from Ethan’s past (whose identity, if you haven’t yet heard it, is best kept a surprise). It’s a pretty terrific ensemble, which has always been a strength of the “M: I” movies (remember Kristin Scott Thomas and Vanessa Redgrave in the first film, and Philip Seymour Hoffman in the third?) — this franchise works so well because you’re not just waiting for the next stunt, but engaged with the characters. But oh, those stunts. Enhanced by an elegant sound design (sometimes, you only hear the sound of engines whirring), each is breathtaking; there isn’t one key action sequence, but a series of them, set in dazzling international locations. In Paris, we zoom on Ethan’s motorcycle around the Arc de Triomphe, ride in a BMW down a too-tight street and a flight of stairs; and parachute with him onto the rooftop of the Grand Palais (with, but of course, an elegant outfit on under his jumpsuit). In New Zealand, he’s dangling from a helicopter; in London, he races across rooftops; and in a sequence near the end that I’m quite sure caused me to stop breathing, he hangs from a rocky crag on an imposing mountain, a drop of certain death beneath him. All this, plus Lalo Schifrin’s trademark theme music (guaranteed to get your pulse racing), Jeffrey Kurland’s delicious costumes (I particularly liked the White Widow’s spider brooch), Eddie Hamilton’s taut editing and even a few laughs. “Mission: Impossible — Fallout” is definitely everything we expected, and more. You might need to go lie down afterward, in a good way. ★★★½ “Mission: Impossible — Fallout,” with Tom Cruise, Henry Cavill, Simon Pegg, Rebecca Ferguson, Ving Rhames, Sean Harris, Angela Bassett, Vanessa Kirby, Michelle Monaghan, Alec Baldwin, Wes Bentley, Frederick Schmidt. Directed by Christopher McQuarrie, from a screenplay by McQuarrie and Dylan Kussman. 147 minutes. Rated PG-13 for violence and intense sequences of action, and for brief strong language. Opens July 27 at multiple theaters.